Enter your email address below to receive a notification when Sooni Pouch starts accepting new sign-ups! Enter your email address below to receive a notification when Sooni Pouch is accepting new sign-ups again. Once your 1st payment has processed, your pouch will be shipped during the first full week of the following month. Example: If you join between April 1st 12AM EST through April 31st 11:59PM EST, you will be on schedule to receive your pouch on the first full week of May. Subsequent renewal payments will be processed on the 11th of each month. Sooni Pouch - Korean Beauty for Everyone! 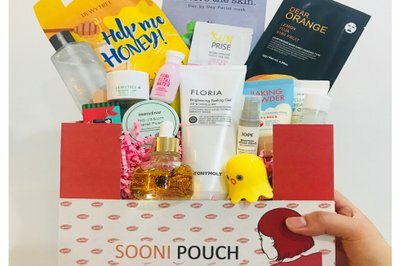 Get the best of K-Beauty every month, delivered right to your door! 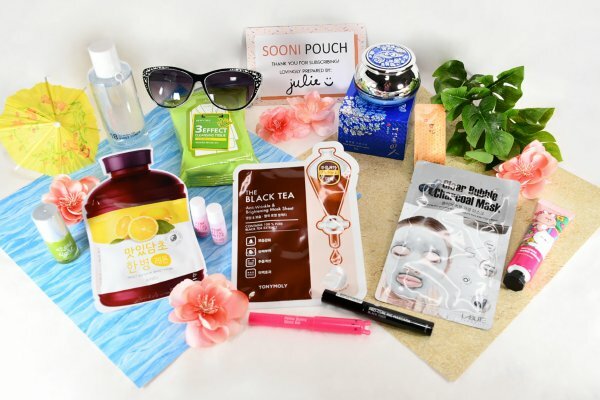 Every month, Sooni Pouch sends you a specially curated Korean beauty box, starting at just $9.99/month with free U.S. shipping. There are three boxes you can choose from depending on your needs and preferences: Sooni Mask Pouch, Sooni Mini Pouch and Sooni Pouch! 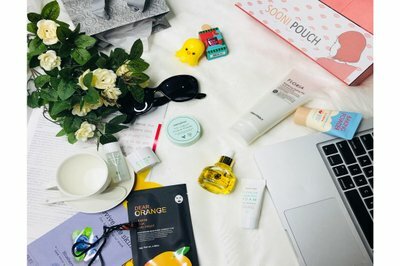 Variety of skincare, makeup, masks, etc! Specially curated for all skin-types! This is the first subscription box that I've found actually gives value for money. Amazing products for the price, and all things I will use. Other subscriptions boxes have several items I have no use for and often the shipping to Canada isn't worth it, but even with the shipping price you are getting a good deal. Even better if you're in the US and don't have to pay shipping! I enjoyed the box. The presentation was great. I will be using the products soon.